Refresh and Restore with your Spring Detox! Ditch the belly bloat and the long-term discomfort that accompanies it. Release that lethargic feeling you can’t shake off, that is the result of unwanted toxins in your body. Rebalance your body so that you feel energised all through the spring season. The SPRING DETOX is your answer to finally ditching those winter pounds, saying goodbye to sugar cravings and ditching the afternoon crash with a full liver-care detox programme. Every spring I see the same thing; people, just like you, who have let the winter blues and stresses of the holidays bring them down. They are feeling the winter weight gain, mood changes and overall feeling of listlessness and lethargy. They don’t know where to start, but know that with the changing of the season, they are ready to change their mindset and habits as well. No more lying on the sofa and binge-watching Netflix series with a bag of popcorn in hand. You are not alone. There are people all over who are struggling with the overwhelming task of taking back their health. Their strength brought down by the common cold or this season’s flu bug and no matter what they do, they keep getting sick and each time it is taking longer and longer to feel better. And what happens when we get sick? We want more comfort food and so our bodies get less and less nutrition, but more and more food. Are you ready to jump into Spring with new found energy and love for life? Let's get you RENEWED and Refreshed! Don't let seasons control your body! ● Imagine being able to ward off that common cold or flu without having to take countless over the counter medications. ● Imagine feeling energised and focused as you enjoy the changing of the season, nothing can hold you back! ● Imagine feeling amazing in your spring clothes because YOU have found how to finally get rid of that winter weight that has been holding you back. Get ready for a Spring Detox programme that will lead you to the health and wellness you've always wanted! ➟Ditch the afternoon crash and burn without the sugar and caffeine pick me ups? ➟Lose weight naturally without shakes, bars, and pills? ➟Turn the clock back, look and feel beautiful using a natural approach? ➟Reduce your toxic load (and the 5-10 extra pounds it keeps on)? ➟Crank up your metabolism using real food for real energy that lasts? ➟Kiss the embarrassing gas goodbye!? ➟Learn how to unwind in this busy, stressful world? START YOUR SPRING DETOX RIGHT NOW! 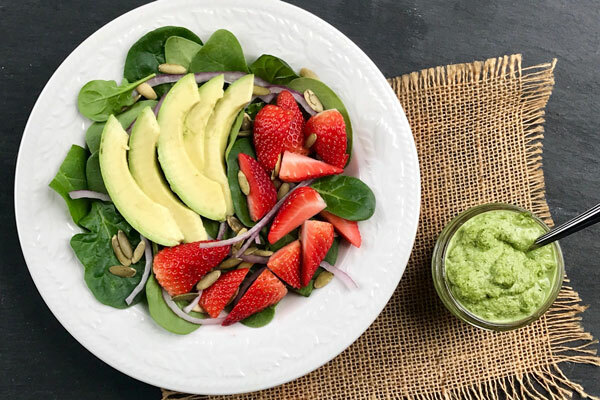 The spring detox has been designed from the ground up to rid your body of the toxins left after a long, cold winter by comfort foods and holiday stress, so you can ditch the extra weight, boost your immune system, and feel incredible! ● Ditch the poor food choices, the added toxins, and the processed stuff that is causing you to feel cloudy, sluggish and bloated. · 2 weeks of email support from Tracy Tredoux, a fully qualified and registered Nutritional Therapist. During our consultation we will take a close look at any health concerns you may have and tailor any parts of the programme that could be refined to target your own personal health goals. Additional consultations may be purchased to complement the programme. · The Spring Detox Guide: This guide includes all the information you need on cleansing your body, mind, and spirit. This detox isn’t just about food, it’s about your whole self and your entire body wellness! You will learn how to detox from the holiday stress and let go of the habits that began with choosing unhealthy foods! 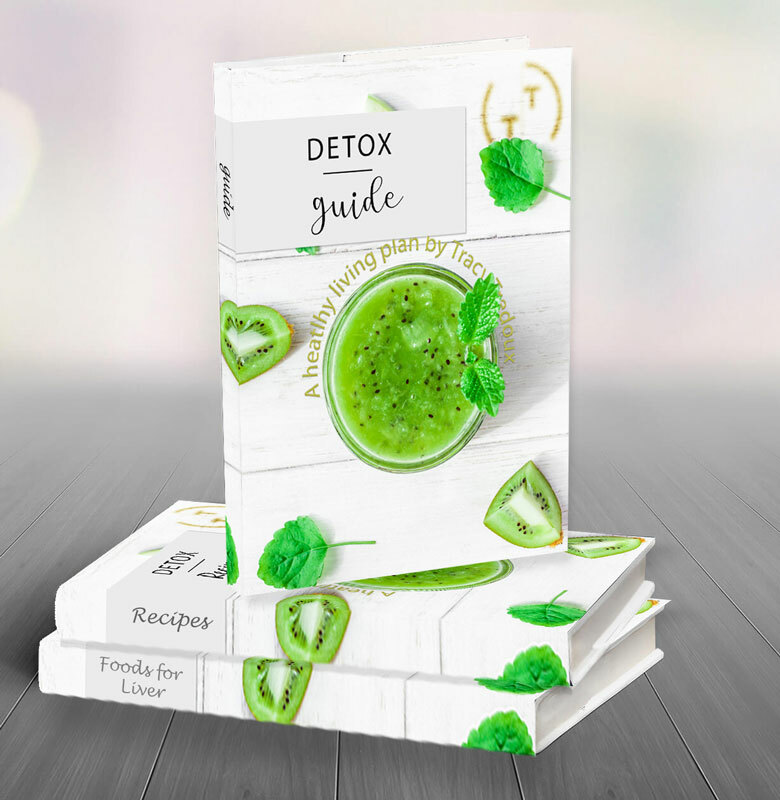 · 4 liver detox support eBooks: These guides explain why we have toxins and will help you understand how toxins affect our body and can cause disease and make us age. 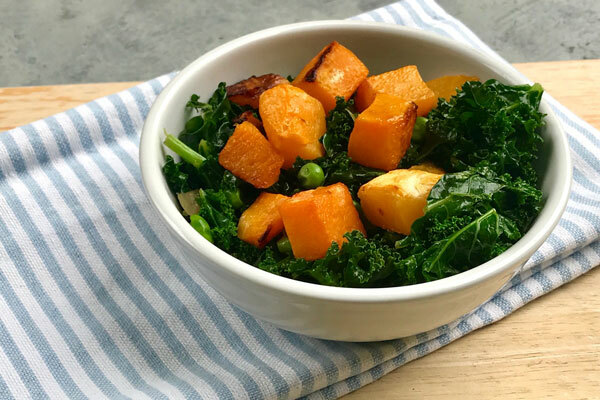 · 14-Days of Suggested Meals: this will help you stay on track and take the guesswork out of planning meals during your detox. · 14-Days At a Glance: a day-by-day overview of your entire detox, with easy-to-follow recipes that make this journey easy as 1-2-3. · A Shopping List: to make trips to the supermarket super simple, which makes prepping, preparing, and cooking for your detox a breeze. · Food Diary: this amazing tool will help you keep track of how you’re feeling physically, mentally, and emotionally throughout the programme. Not at all! 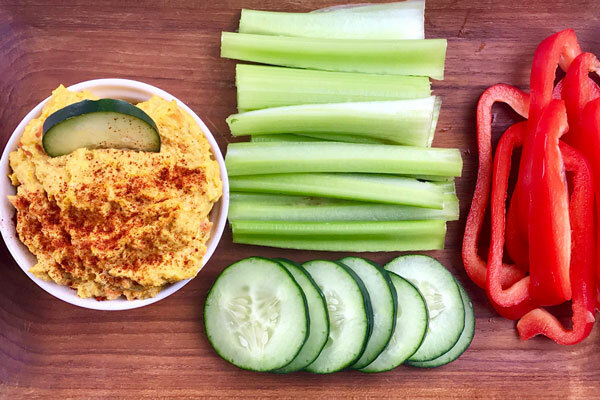 There are recipes for breakfast, lunch, and dinner, and there is room for snacks in between. Every meal is delicious and created by a fabulous chef to nourish your body from the inside out. This programme is not about starvation or deprivation, and we are not counting calories or dwelling on carbs. You will feel satisfied with every bite. If you do get hungry, there are extra snack recipes included! CAN I STILL WORKOUT DURING THE PROGRAMME? Please workout during the programme! If you feel tired or have low energy, exercising restores both strength and energy. During this programme, you will be eating protein and drinking plenty of liquids, so if you’re already exercising, there’s no reason to stop! It is important to remember that whenever you change the foods you eat your body changes as well. Please consult with your doctor if you have any specific concerns about your health. 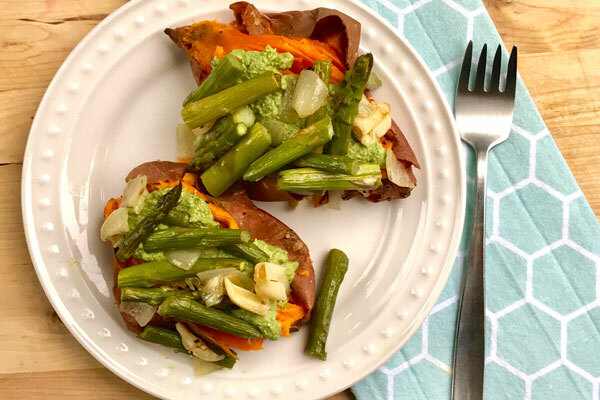 You will have the option for plant or animal-based proteins, which will be listed out for you in your recipes and suggested meals. There are so many clean eating protein sources to choose from you won’t get bored with your options! No way! 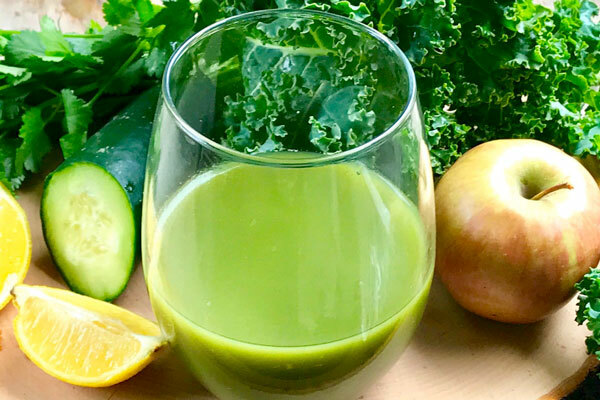 While there are some juices and smoothies for you to choose from, you will also be eating salads, soups, and even desserts that are delicious, nutritious and will eliminate toxins in your body in a safe and natural way. Not in this programme! The only supplement I recommend that everyone take on a daily basis is a probiotic, and you’ll learn why in this programme. 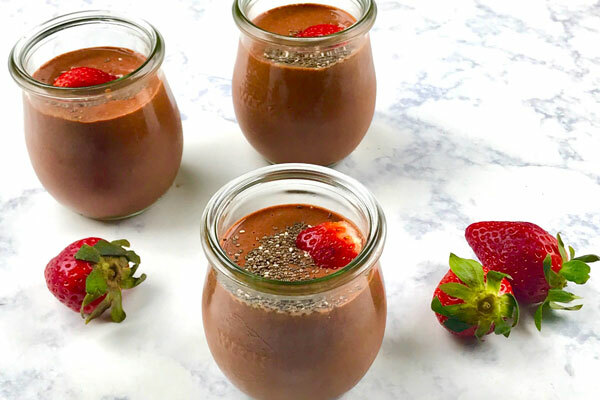 If you are nursing, I suggest that you add at least 150g of protein at lunch and dinner, boost your morning smoothie with a scoop of hemp or pea protein, and eat snacks in between meals. Make sure you are consuming extra fat and drinking enough liquids. This programme does not include any detox-provoking agents, but again, please consult with your doctor before starting this programme if you have any health concerns. WILL I FEEL WEAK DURING THE PROGRAMME? You are going to feel so healthy and energised it will amaze you! In the beginning, your body may go through a “healing phase” to re-balance and let go of toxicity. It is important to listen to your body through this programme, and I will be here to support you with that. I will guide you step by step through exactly what can be done to reduce any unwanted symptoms that may appear. This programme is completely flexible for figuring out what works for YOU! I DON’T EAT GLUTEN OR DAIRY. HOW CAN THIS PROGRAMME HELP ME? Some people go through this programme and feel nothing but energised, while others may feel tired or light-headed as their bodies eliminate and let go of unnecessary toxins. The experience will differ from one person to the next, but this programme is designed with that in mind, and you’ll have access to all the tools you need to keep any unwanted symptoms at bay. While this programme is based on eating only whole foods, it is still advised that you consult your physician before beginning. Note: It is important to consult your physician before beginning any new eating or exercise programme. This is a clean eating programme designed to teach you the difference between foods that inflame you and foods that fuel you. These statements have not been evaluated by the Medicines and Healthcare Products Regulatory Agency.